This book explores our unique relationship with nature through the garden. From famous locations, such as Versailles, to the simplest home vegetable gardens, from worlds imagined by artists to vintage family snapshots, The Photographer in the Garden traces the garden's rich history in photography and delights readers with spectacular photographs. The book explores gardens from many angles: the symbolism of plants and flowers, how humans cultivate the landscapes that surround them, the change of the seasons, and the gardener at work. 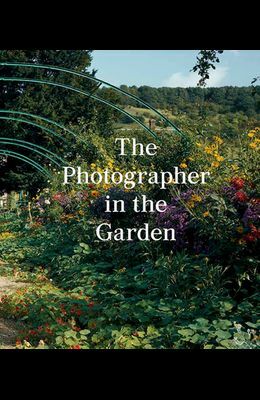 An informative essay from curator Jamie M. Allen and picture-commentaries by Sarah Anne McNear broaden our understanding of photography and how it has been used to record the glory of the garden. The book features photographers from all eras, including Anna Atkins, Karl Blossfeldt, Eugene Atget, Edward Steichen, Imogen Cunningham, Edward Weston, Lee Friedlander, Stephen Shore, Robert Mapplethorpe, Nobuyoshi Araki, and Collier Schorr, to name a few. This sublime book brings together some of the most stunning photography in the history of the medium.